I really want to cook _____(fill with some exotic dish) and I can never find _____(fill with some rare ingredient) in the stores of San Sebastián. Well, here, you definitely can. 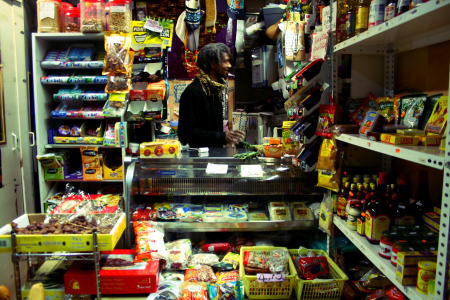 In this store, known on the streets as 'the african store', they sell everything. Things that don't even have a name in Spanish, really: okra, black-eyed peas, hominy, tomato paste...and foreign ingredients: manioc, fresh dates, spices and habañero. They even have a range of accesories like hookahs and shoes for those who so desire. An oasis.